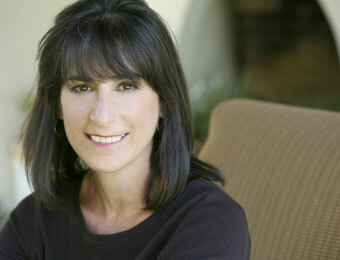 A Karla Bonoff show is always a treat. This Southern California songwriter and singer has written some classics that became hits for other artists – “Home” for Bonnie Raitt, “Someone to Lay Down Beside Me” for Linda Rondstadt, “Tell Me Why” for Wynona Judd – and those songs take on fresh life when Karla performs them, her voice pure and easy, tender and utterly persuasive. Here’s what Billboard Magazine has said about her: “Long before Alanis and Jewel, there was a breed of singer/songwriters whose earthy anthems of soul-searching, heartache, and joy touched souls in a way few can muster today.” Joining her tonight will be guitarist extraordinaire Nina Gerber. Karla started playing hoot night at the Troubadour as a young teenager in Los Angeles in the late 1960s, and formed a band, Bryndle, with some of the other musicians she met there, Andrew Gold, Wendy Waldman, and the late Kenny Edwards. They recorded an album that was never released, but Linda Ronstadt heard Karla’s songs and put three of them on her 1976 album, Hasten Down the Wind. Karla recorded four popular solo albums in the following decade, and has continued to write and record since then, performing occasionally for a devoted following. Her song “All My Life,” performed as a duet by Linda Ronstadt and Aaron Neville, won a Grammy in 1990. Listening to Karla sing is like having an intimate conversation about secrets of the heart – you don’t want to miss a word!